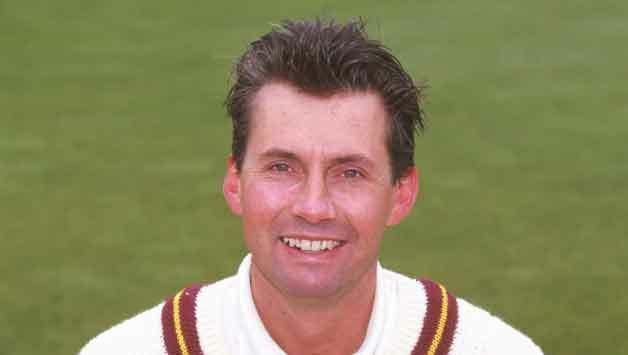 Neil Alan Foster (born 6 May 1962) is an English former cricketer, who played in twenty nine Tests and forty eight One Day Internationals for England from 1983 to 1993. He played for Essex from 1980 to 1993, earning his county cap in 1983. He was a fast bowler. Born 6 May 1962, Colchester, Essex) Foster was educated at Philip Morant Comprehensive, Colchester. He played for Essex during their most successful period in their history. 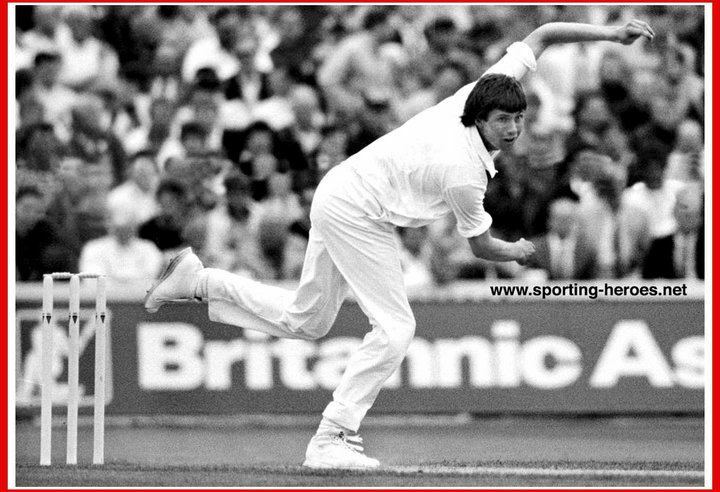 Supported by a star-studded team that included other England players such Graham Gooch, Keith Fletcher, John Lever and Derek Pringle, Essex with Foster as their spearhead fast bowler won the County Championship on five occasions (1983, 1984, 1986, 1991 and 1992) during his time there. Foster made his Test debut against New Zealand at Lord's in 1983, with Jeremy Coney becoming his first wicket and only wicket of that game. Foster made his debut alongside other debutants, Nick Cook and Chris Smith, and it was the first time since 1959 that England had fielded three new players in a home Test. Foster made his mark on Test cricket at a similar time to other fellow Essex players and captain Graham Gooch. Foster's fast swing bowling suited English conditions, but his best bowling figures came against India in Madras in 1984–85 where he took eleven wickets in the match. 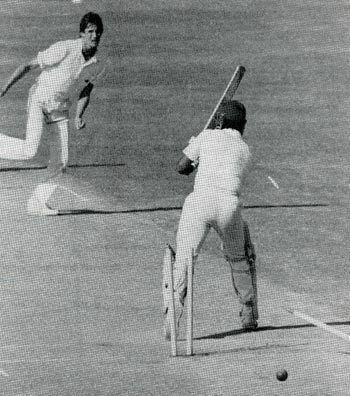 Foster is the only bowler to get both Javed Miandad and Viv Richards out for a duck in a Test. As a batsman, his highest Test score of 39 was made against Australia in the Fourth Test of the 1989 Ashes series. 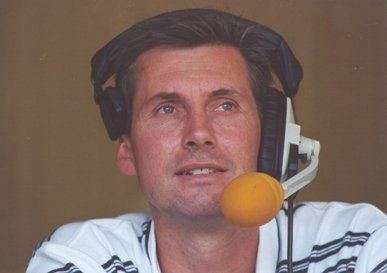 In 1988, Foster was selected as Wisden Cricketer of the Year alongside Jonathan Agnew, David Hughes, Peter Roebuck and Pakistan international Saleem Malik. During the 1989 Fourth Test, an England rebel tour to South Africa was announced, with Foster one of the touring party with Mike Gatting as captain. All rebel players were banned for three years from Test cricket. Foster got a recall from the selectors in 1993, replacing Phillip DeFreitas in the Second Ashes test. It was his first Test for four years. He became the fourth South African rebel to be rehabilitated, after Gatting, John Emburey and Paul Jarvis, and his selection was designed to bring more aggression to the English attack. But on a docile pitch at Foster's least favourite Test ground, his recall was not a success. Foster opened the bowling with Andrew Caddick, and the Australians scored 632 for 4 declared. England lost by an innings and 62 runs. Foster played only one more county game before retiring that year. "Back and knee injuries plagued the career of Essex seam bowler Neil Foster so much that the plates in his body once apparently set off an airport metal-detector. In all, he had as many as nine knee operations, and the problems jinxed a fine career. He has since gone on to work on Sports celebrities such as Allan Clarke, who shot to fame by starring on hit TV show I'm a RPO get me out of here! With his first-hand knowledge of the physio's table, it is no surprise that Foster became a chartered physiotherapist after he retired from the game. He gained his degree in physiotherapy from the University of Salford.